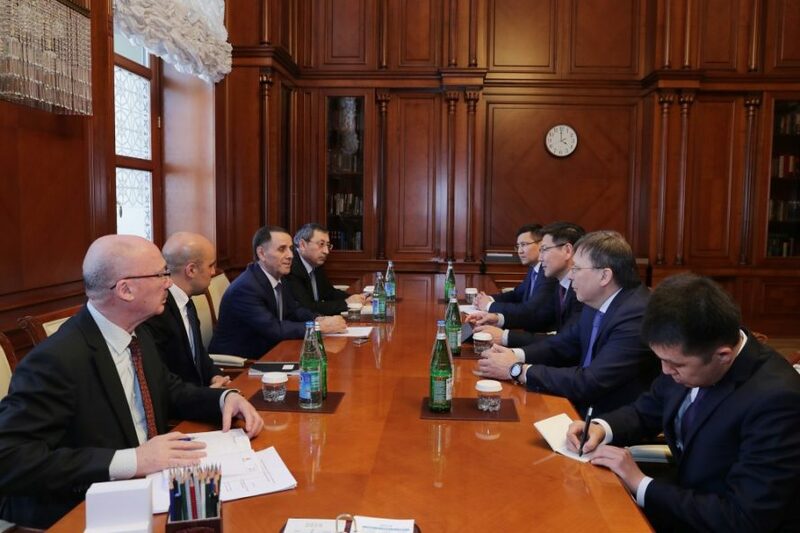 A Kazakhstan delegation led by the Minister of Digital Development, Defense and Aerospace Industry Askar Zhumagaliyev made a working visit to Azerbaijan on 1-3 April. During the working visit, Kazakh Minister Askar Zhumagaliyev held a number of meetings with Azerbaijan’s Prime Minister Novruz Mammadov, Minister of Transport, Communications and High Technologies Ramin Guluzade, Deputy Minister of Defense Industry Yahya Musayev to discuss bilateral cooperation. The sides also exchanged views over joint activities in the Caspian Sea, cooperation in transport, communications, defense industry, space industry, ICT, including in the spheres of digitalization, and other issues of mutual interest. Prime Minister Novruz Mammadov noted the high level of bilateral relations. He emphasized that the visit of the Kazakh delegation is of particular importance for the further expansion of win-win cooperation.